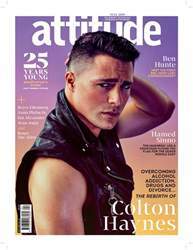 This month we have a travel themed issue for you, with new Benidorm star, and legendary Attitude pin up Philip Olivier on the cover...looking better than ever before! As we plan our trips for the year, we take a look at the coolest gay destinations of 2014, as well as the gay friendly hubs you’d never have thought of. We travel to America’s gay couple capital Seattle, and from Colombia we interview the LGBT supportive Mayor of Bogota. In a major feature, we also go undercover in Moscow to investigate life under new homophobic Russian laws. Elsewhere we have interviews with transgender pioneer April Ashley, singer-songwriter Rufus Wainwright and the cast of Birds Of A Feather. 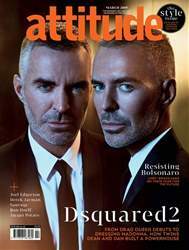 We chat to singers Betty Who and Rudi Douglas, cabaret star La JohnJoseph, plus we have a preview of Oscar tipped AIDS film Dallas Buyers Club.